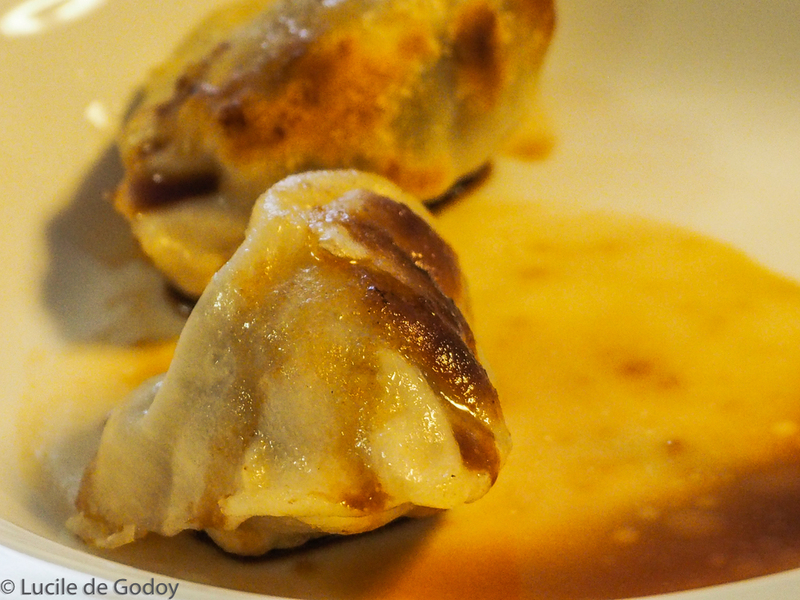 What dumplings, a yoga teacher, boats and a wheel have in common? Actually nothing, except my intention to use these photos to post for the Tech of the Month of Perelincolors, which she hosts simultaneously at the Photo Rehab of this blog, and at her blog. I choose these three images, each shot with different settings but without flash. Meet Daphne, my lovely yoga teacher. 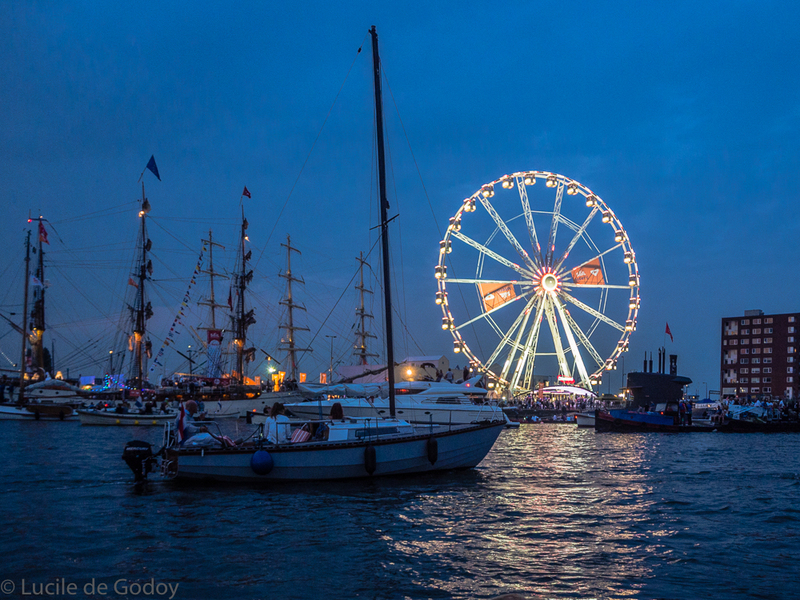 This was a common view during a night’s boat trip during the Sail 2015 Tall Ships event, held in August in Amsterdam. I love how the ferris wheel lights up the scene. Your picture of Daphne is beautiful – or maybe it’s Daphne that is beautiful! Nice shots. She’s most definitely a beauty! Thank you Anna. I’m going to post more photos from that night for the changing seasons of Cardinal. Beautiful, there is peace everywhere. OK, your yoga teacher radiates peace, plus she is beautiful so this was easy 🙂 Seriously, thanks for the tips, I ll definitely have to try them. You are doing so great in color too, brava! That is so true. 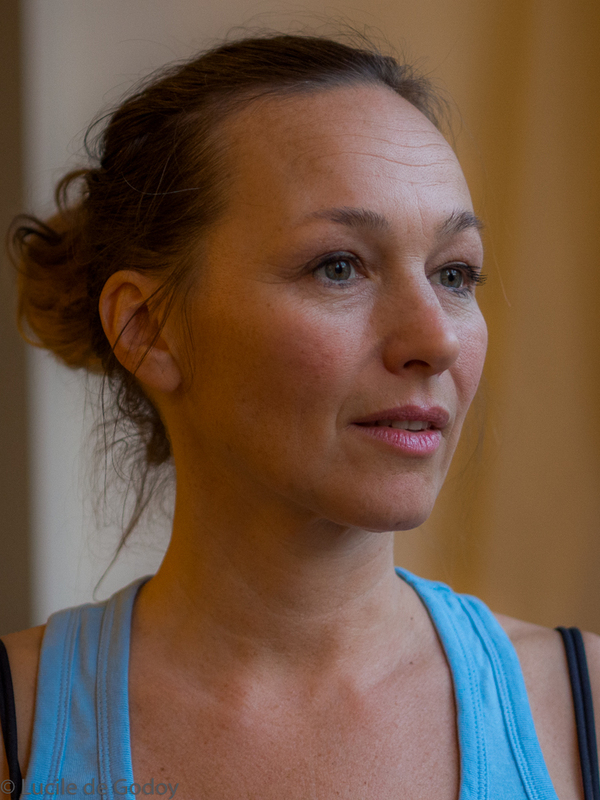 My yoga teacher is beautiful and a lovely person too. Makes it easy to shoot her! I remembered before posting that you prefer color portraits rather than B&W! Night Photography is such a challenge. Nicely done on the image that gives twilight a boost with the ferry wheel. I fully agree with you Sally! It is not easy, at least for me. When looking for photos for this post, I realized that I hardly ever did night photography. I made some last month to practice long exposure but not much more. Thank you for the encouragement. If that was my yoga-teacher I would never skip a class, she’s beautiful!! Yay! You put the like button back! There have been many times I didn’t have words to share, and wished I could click that button to let you know that your work touched me. I love the photo of your yoga teacher. You really have a gift for portraits. In one post you have managed to display three types of photos with expertise: food, portrait, and night landscape! All exceedingly well-done, my friend! I really like the picture of your yoga teacher. She looks like a great yoga teacher and the high ISO gives the image a sort of old-fashioned look. She is the best teacher ever, and a fantastic person. I have shot this inside the school and the natural light was not enough, hence the high ISO. I left it as is to post here, but I have post processed this and the others in several ways, and it looks great. Well, she looks great with or without editing. Some people are simply beautiful. Great shots, especially that yoga teacher shot, you do those so well. Thank you so much! You’re my portraits’s cheerleader! Lovely photos, Lucile. The nightshot is so clear and colourful – even with the use of a tripod, I stick to shots taken during the day! Thank you! Like you, I just prefer day shots.